You are probably seeing more turbocharged four-cylinder engines at your shop. Domestic manufacturers like GM and Ford have powered a wide variety of cars and SUVs with small displacement turbo engines. Also, import manufacturers like BMW, Nissan and VW use turbos on base engines and high-performance engines. Turbos are not a new trend; many applications have been on the roads for more than a decade. The three things all of these engines have in common are intercoolers, plumbing to connect the turbo to the engine, and valves to control boost and turbine speed. 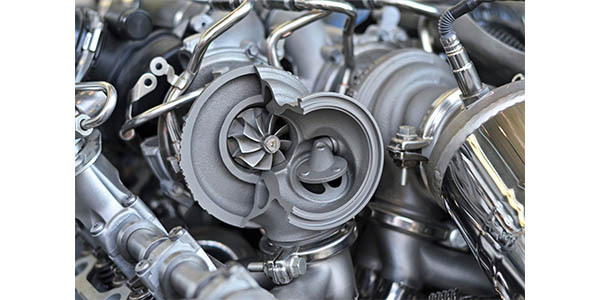 The signs of a leaking turbocharger system start with a lack of power or random misfires. In some cases, the escaping boost pressure can be heard. But, if the wastegate or bypass valves are leaking, you might not hear any noise. If you get a vehicle in that is not generating enough boost, don’t automatically assume it is the turbocharger. Modern turbochargers rarely fail due to problems with the internal clearance problems with the turbines and shafts. 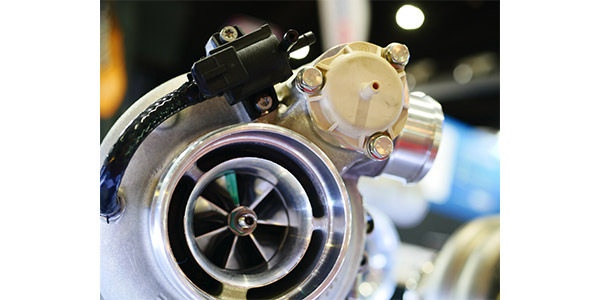 Most systems use multiple sensors to monitor turbocharger performance. The boost pressure sensors, MAP sensors and throttle position work together to make sure the desired pressure matches actual pressures. If the ECM sees a large enough variance in the boost requested and the boost measured, a code will be set. The code could have the wastegate, diverter valve or sensor listed in the description. In most cases, the part contained in the code is never the one that has failed. The source of the over or under boost condition must be addressed first. On most engines, the intercooler is in front of the condenser and radiator. The location leaves the intercooler vulnerable to damage. But, one of the most susceptible areas for leaks are the mounting tabs that connect the intercooler to the vehicle. Vibration can weaken the tabs on the side tanks and cause a leak. This is why in most cases, when an intercooler is replaced, it needs to replaced with new hardware and isolators. Condensation can also build up in the intercooler when the vehicle operates in high humidity conditions. The condensation can cause misfires under high boost and load conditions. Also, the water in the intercooler can freeze under certain circumstances and create a restriction until the engine or radiator can melt the ice. Some intercoolers have tiny holes at the lowest point to drain water and even oil. 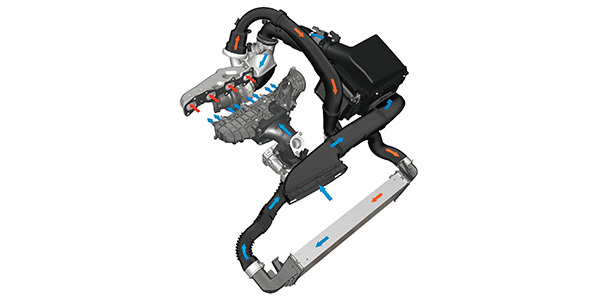 All turbocharged engines need a way to control the pressure in the intake manifold. The pressure can be managed on the exhaust side with a wastegate, or on the compressor side using a diverter valve. One of the most leak-prone components is the boost diverter/bypass control valve on the compressor turbine. When the valve ages, the spring gets weak, and the seal can leak under higher pressures. The actuation can be done with pressure/vacuum or an electric motor. Wastegate valves on the exhaust side are pressure pots with a diaphragm where pressure works against spring. 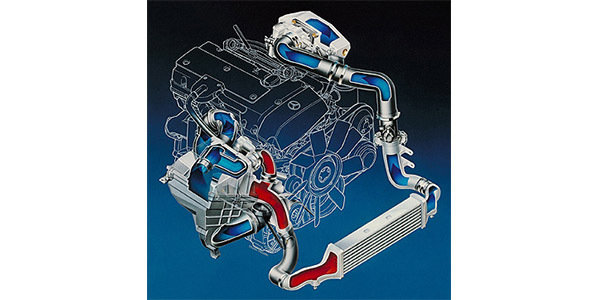 Old-school systems opened when the pressure reached a level where it could overcome the force of spring and open the wastegate. Modern systems manage the pressure with a solenoid so the actuation of the wastegate is more controlled. 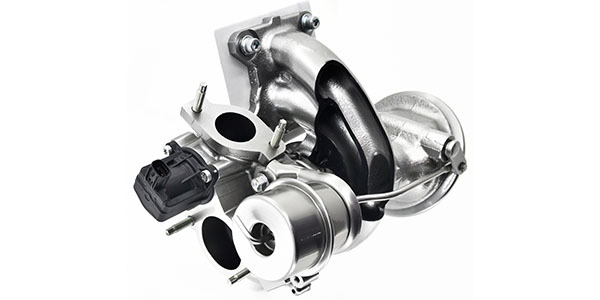 Some turbochargers now have an electronic wastegate that uses a motor to actuate the wastegate. Wastegate leaks are typically caused by poor actuation of the wastegate caused by a weak spring or the line feeding pressure to the actuator. But, it is possible the valve and arm can be damaged. A leaking wastegate will prevent the turbocharger from spooling up and the compressor from building boost. This will result in a loss of power. Diagnosing an under-boost condition on a modern engine requires a scan tool that can graph multiple data PIDs from the data stream. The two most important parameters to look at are the desired boost pressure and the actual boost pressure during a test drive. The first thing to see is if the boost reaches the desired level. If the boost is low, it is a sign there might be a leak in the system. If the boost is slow to build, it could be a sign there might be an issue with the wastegate or bypass leaking. The next parameter is to look at the position or duty cycle of the bypass or wastegate valve compared to the boost pressure. Look for a change in position and a change in boost pressure. Another essential piece of equipment is a smoke or leak detection machine. Your regular smoke machine used to diagnosis EVAP problems might not work because boost levels are, in some cases, five times higher than EVAP testing requires. But, there are high-pressure smoke machines that can detect leaks in turbocharger systems.